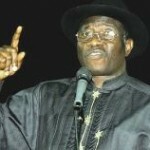 President Goodluck Jonathan, the incumbent President of Nigeria, is doing his best to come back to power in April 2011. Part of President Goodluck Jonathan’s strategy is his use of social media to reach the youth segment. Like Savio, a political consultant once wrote ‘Any candidate who engages the Internet has a leg up in winning the youth’. Goodluclk Jonathan had gained traction using facebook. He now has over four hundred thousand followers who help sing his songs. My focus here is centred on how brand can communicate values instead of brewing and igniting anger of the audience through unguarded utterances. While I am not a card carrying member of any political party, I am amazed at the level of damages politicians unleashed on their own chances by not knowing what to say, when to say it, how to say and who to say it to. President Goodluck Jonathan recently blew his chances with some progressives in the South West zone of the nation. While on a campaign tour to the south West zone in a bid to spread his political philosophies, President Jonathan Goodluck resulted to name calling instead of communicating his own uniqueness and philosophies. General believe about brands that leave the path of communicating brand’s values to unproductive attack is often traceable to low self esteem and lack of credible line of actions that can be promoted. The challenge associated with that path is that people know which brand is performing and which is not. What do you bring to the table: Every brand must know what it brings to the table. If you do not take time to identify your brand’s uniqueness and how it can help accelerate the audience’s well being, precious opportunity will be messed up while trying to communicate anything at all. What is your story: Each brand has a story that can sell within its audience circle. The life of the President Jonathan till date has enough nuggets that can resonate with the electorate of the South West. Most South West progressive were actively prominent in compelling the national assembly members to pass the law that empowered President Jonathan to take over as the President of Nigeria when the former President Umar Yar Adua held on to power. Calling on all progressive to do it again for him would have gone a long way in winning some votes. What part of your brand story are you not using to your advantage? Study the audience mood: there are things to say with specific timing attached if you must be successful. If you give the right speech in a wrong environment or at the wrong time, you will bungle your brand chances. You need to understand the Five Ws and H of effective Communication. If you neglect these rules, you may hurt your brand communications strategy. Communicate results: one best route to communicate well is to continually communicate verifiable results, impacts that your brand had delivered with evidence of changes in lifestyle among the brand promise users. Today, Nigerians can fly directly to USA. In some cases, queue in petrol /gas stations had vanished during President Jonathan tenure than what we used to experience. What happens to those promise deliveries instead of name callings or does the President think saying it every time will mean repetition. Social proof: Social proofs can now be evidence- based communication tactic. The President has over four hundred followers on his Facebook fan page who constantly exchange and communicate with him. How many of his rivals had achieved that feat? That he is the first sitting president that uses that platform can be promoted. With all these, do we think that the situation would had been different if President Jonathan promised to continue to listen and act on feedbacks from progressive who also use this platform? Of course, some of these things are not achieved by brand communications alone. However, everything we are talking about here gets evaluated in holistic patterns (because that’s the way human beings do communicate). Almost every human science discipline could provide you with its on in-depth views on the ways we develop communications to aggregate meaning. As an example, here is a perspective from an aesthetics school.